Attract money incense cone is one of traditional incenses too. It has a wonderful beautiful scent of floral associated with woods and oils. 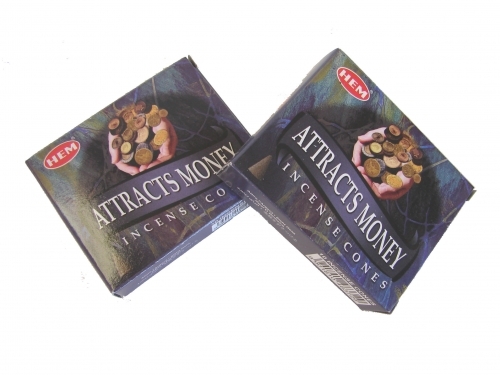 Attract money cone incense is a magic feng shui incense - money spell to increase money luck. SAI Champa incense one kind of most popular incenses. It has a sweet slight woodsy favor. Its aroma is excellent for meditation as well as to calm and relax.